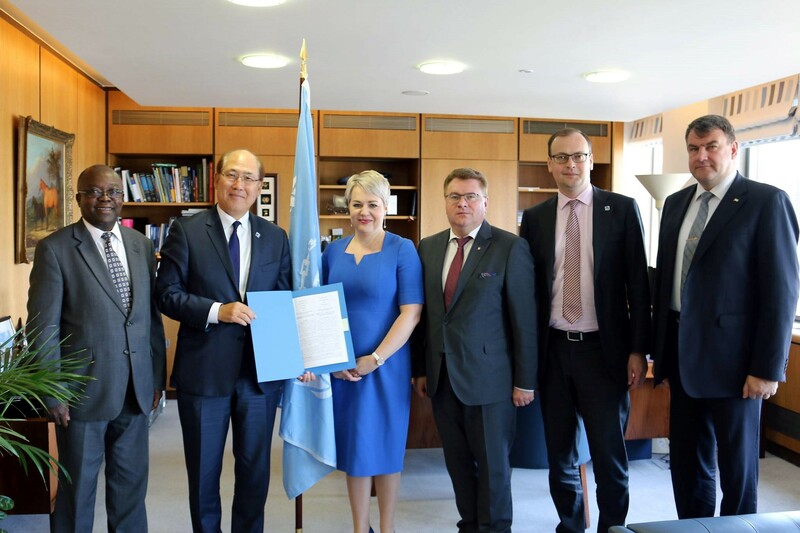 The ceremony took place on 18 May 2018 at IMO headquarters in London in the presence of State Secretary of the Ministry of Infrastructure of Ukraine Andriy Galushchak, Ambassador and Permanent Representative of Ukraine to IMO Natalia Galibarenko and IMO Secretary-General Kitack Lim. By signing this document, Ukraine officially confirmed its consent for the audit to be conducted by the International Maritime Organization from 9 to 18 June 2018. The purpose of the audit is the verification of Ukraine’s compliance with international obligations relating to maritime safety and security. Passing the IMO audit by Ukraine will contribute to strengthening the credibility of Ukraine as a maritime country.